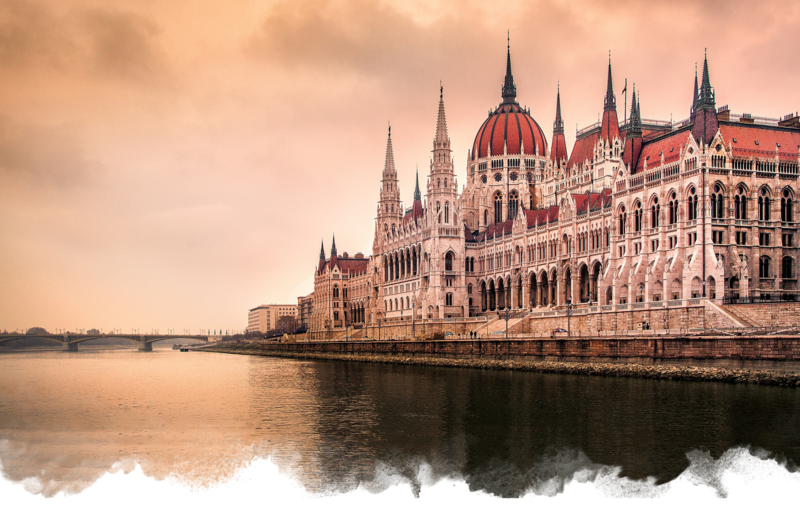 There are only a few capital cities in the world which have thermal springs, and the Hungarian capital city is among them. There are 11 baths in Budapest, including both strand and thermal baths. Széchenyi and Lukacs have also wellness pools. Three of these institutions are not only simple baths but also historical buildings of Budapest. They are Széchenyi, Lukács, and Gellért Thermal Baths. Thermal waters of the region were well-known even in the age of the ancient Roman Empire. The culture of baths was not too common in medieval Europe, but ’hospitals’ worked by churches used them. Later, in the age of King Mathias I., noble foreign guests were invited to steam rooms, and the king himself liked these kinds of baths, too. In the 16-17th century, there was a Turkish invasion in Hungary. Turkish loved bath culture and they used thermal water of this region, too. We know about 6 Turkish baths in Budapest among which two are still open and visitable. This two baths called Ruda bath and King bath. Later, in the 18th and the early 19th century, baths were not too common, but in the second part of the 19th century, this culture was re-invented. Baths were renovated and new ones were also built, and they are famous and popular even nowadays. Lots of foreigners visit them, too. Why is this thermal water so healthy? The composition of the thermal water is not the same in the region of Budapest. In fact, there are 19 different kinds of water there! The most differences are in the rations of the minerals. They contain calcium, magnesia, chloride, sulfate, and other ions. All of these thermal waters are useful in the therapies of the diseases of the skeleton and muscular system, but some of them can cure cardiovascular, gastrointestinal, pulmonary, or even neurological complaints, too. Thermal baths can be also grouped on the base of their water’s temperature. Although the benefits of thermal water, high temperature can indispose the body, so up to 30 minutes-long bathing is recommended. This period reduces to 6-9 minutes in the hot pools. The hottest one is an interior pool with 42°C, and it is in the Rudas Baths. The ’coldest’ one can be found in the Lukács Baths. It is an external pool, which water is 22°C. What kinds of extra services are offered beside pools? Turkish and thermal baths have also saunas. Finnish version is the most common; it has dry air and the temperature varies between 60 and 80°C. However, in Széchenyi Bath there is also light and aroma sauna. All of the thermal baths in Budapest offer a steam room; the steam is 40 – 50°C. According to a survey made in 2018, Széchenyi Thermal Bath has the most visitors. It was built in neo-Renaissance and neo-Baroque styles. Here is a fountain made by József Róna which is really famous and it portrays a centaur. Gellért Thermal Bath was built between 1912 and 1918, and since then, it has closed only once because of the bursting of pipes; this occasion lasted only one day. It was built in the style of Art Nouveau. The building seems to be quite exclusive: for example, the walls are decorated with porcelain which made in the Zsolnay manufactory. The decorative, colorful windows are made by Miksa Róth, on the base of Vince Hende’s plans. Lukács Thermal Bath was really beloved by artists, scientists, and other white-collars in the 19th century. They regularly met each other there. Rudas Thermal Bath has a creepy history because some conspirators after a rebellion led by Ignac Martinovics in the 18th century committed suicide in this bath. In the next centuries, unfortunately, lots of other people ended their lives here in a similar way. However, Rudas has also better memories: it was the site of a Neapolitan bath scene of the ’Borgias’ TV-series (1. season, 9. part).